Photo: W. A. Clark Mansion (Copper King Mansion), ca. 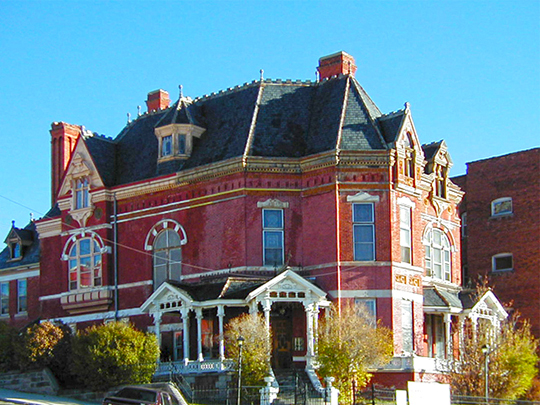 1884, 219 West Granite Street, Butte, MT. Listed on the National Register of Historic Places in 1970. Photographed by user:Loren T. Vine, 2002, (own work) [cc-by-2.5 (creativecommons.org/licenses/by/2.5)], via Wikimedia Commons, accessed April, 2014. The former Silver Bow County is now the consolidated City and County of Butte-Silver Bow. Administrative offices are located at 155 West Granite Street, Butte, MT 59701; phone: 408-497-6200. The City and County were consolidated in 1977. Silver Bow County was established in 1881.